The group instructed participating students to meet at Washington Square Park. Many school officials, including the Department of Education, said students who walked out of class Friday would be penalized. The DOE said any student who left school grounds would receive an unexcused absence. 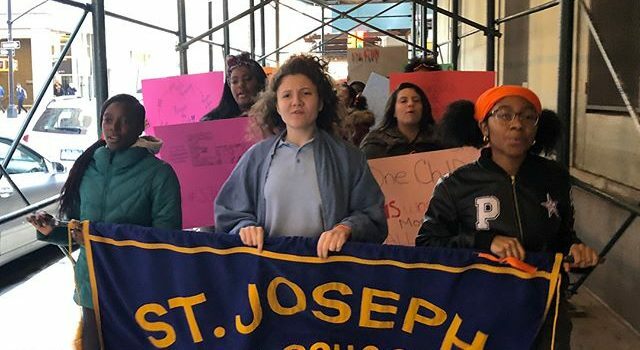 In some private schools across the city, such as St. Joseph High School in Brooklyn, however, teachers and other faculty members joined their students in protest to help support the cause.